Here are a ‘Magnificent Seven’ of national parks to explore that are close to Sydney. Sydney and surrounds boasts a myriad of the most alluring, breathtaking – and oldest – national parks in Australia. Most offer a dazzling array of back-to-nature attractions including bush walking, cycling, kayaking, swimming in world-class beaches, kangaroos, wallabies and colourful birds – plus a journey back into indigenous culture and tradition, and colonial heritage. The vast majority of these national parks also comprise excellent amenities including toilets, picnic tables, barbecue facilities, along with picnic areas that have drinking water. And accommodation ranges from heritage cottages, tourist parks (with showers, wireless internet, electric power and public phones) and campgrounds. Some have their own boat ramps, and even a cafe/kiosk. Kamay Botany Bay National Park is located at La Perouse and Kurnell in Sydney. The heritage listed park is not only a popular spot for whale watching, but is steeped in Aboriginal culture and European heritage. Captain Cook arrived on these shores in the Endeavour in 1770, at Kurnell, in 1770. And this sacred indigenous site is littered with engravings by the Goorawal and Gweagal peoples. Spotting the migration of the majestic humpback whale is a favourite pastime in the southern headland around June/July at Cape Solander. 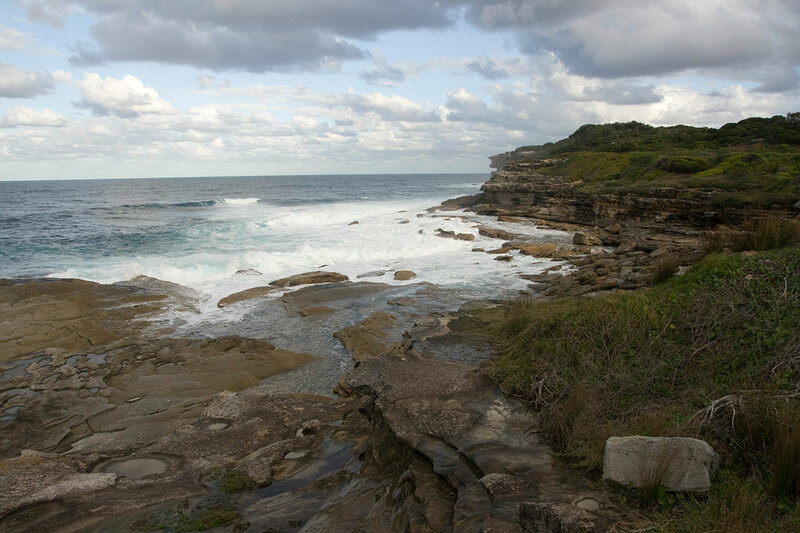 Meanwhile, at La Perouse in the northern headland, adventurers can enjoy exhilarating walks and amazing diving experiences at Bare Island. And Commemoration Flat is an idyllic place for a picnic. You can also visit the Cape Baily lighthouse, scuba dive Sutherland and Inscription points or swim in pristine Silver Beach. And the Henry Head walking track leads to a fantastic photographic opportunity – the SS Minmi shipwreck off Cape Banks. Kurnell is on Captain Cook Drive, access is via Rocky Point Road, off the Princes Highway. At Kurnell, turn right off Captain Cook Drive into Cape Solander Drive. To access Potter Point, turn right off Captain Cook Drive into Sir Joseph Banks Drive. In close proximity to the Sydney CBD, Lane Cove National Park is a charming pocket of bushland that extends from East Ryde to Pennant Hills and West Chatswood. Sitting within a substantial urban environment, Lane Cove NP boasts beautiful birdlife including laughing kookaburras and colourful lorikeets – plus eastern water dragons occupying the river’s edge. Not to mention eucalypt forests, casuarina woodland and saltwater wetlands. There are also abundant historical sites, which can be discovered along a Heritage walk. The park is a perfect place for a family picnic complete with barbecues, kids’ playgrounds and tables. You can even hire small rowboats from the Lane Cove Boatshed, or cycle a fire trail between Pennant Hills and West Pymble. Native fauna and flora abounds in Lane Cove NP – including the southern boobook (or mopoke), a native owl, and the tawny frogmouth, which is often mistaken for an owl. Plus Australian native plants such as the colourful smooth-barked apple gum and old man banksia, and the grass tree. The Guringai people are traditional landowners of sections of the park, and consequently, several ancient Aboriginal sites are protected. From Sydney take the Pacific Highway to Chatswood and turn left into Fullers Road. Turn right into Lady Game Drive just before crossing the bridge. Cross Fullers Bridge and then turn right into Riverside Drive, this will take you to the southern side of the river. Lane Cove National Park is also accessible from North Ryde station and by bus from Chatswood station. Established in 1879, the heritage-listed Royal National Park, in Sydney’s south, is the world’s second-oldest national park. It displays a vast topography – from flat grassland to ragged clifftops overlooking the ocean. 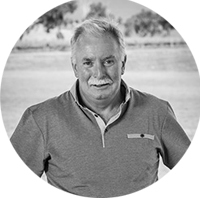 And it’s home to world-class bushwalking, cycling, mountain biking and surfing experiences. It also offers tent, trailer and caravan sites, making it a fantastic place for beach camping south of Sydney. And the beautifully restored Hilltop Cottage offers heritage accommodation. Royal NP is ripe for exploring rainforest, azure-blue beaches and indigenous rock engravings. You can even rent kayaks and paddle on tranquil waterways. Also popular are the multitude of walks, including Forest path where you can wander through cabbage tree palms and gymea lilies beside Bola Creek and the Hacking River. Meanwhile, Karloo walking track offers swimming, picnicking and scenic waterfall views. Additionally, Uloola Falls is a delightful waterfall and Lady Carrington Drive, a historic cycling track, follows the river and is ideal for birdwatching and picnicking. And why not grab your mountain bike and hit the 10km-long Loftus loop trail. The park is also renowned for its native wildlife like possums, sugar gliders and wallabies, and is home to amphibians, bats and reptiles. There are also 300 recorded bird species such as sulphur-crested cockatoos, crimson rosellas, yellow-tailed black cockatoos and rainbow lorikeets. Royal National Park’s main entry points are along the Princes Highway. Turn off the highway at either Farnell Avenue, just south of Loftus, or at McKell Avenue at Waterfall. You can reach the park along the Princes Highway, or via Otford which is north of Stanwell Park. Sydney Harbour National Park has an eclectic mix of twisting inlets and harbour islands. It’s certainly a foreshore paradise for taking in enjoyable coastal walks, picnics and swimming. And it provides stunning vistas of iconic Sydney attractions such as the Harbour Bridge and Opera House. 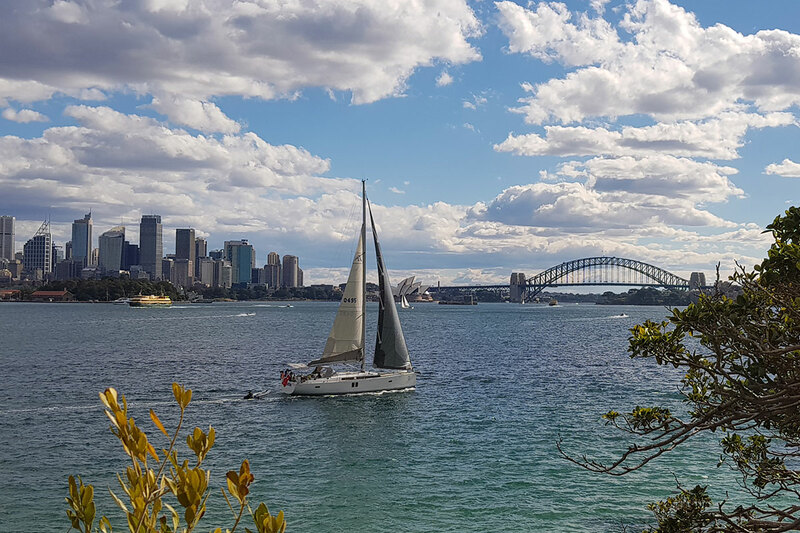 The park protects five historic harbour islands including the rich convict and maritime heritage of Goat Island, the beaches at Rodd or Shark Island, an Aboriginal cultural experience at Clark Island, and dining on Fort Denison. Nature is first and foremost in Sydney Harbour NP. 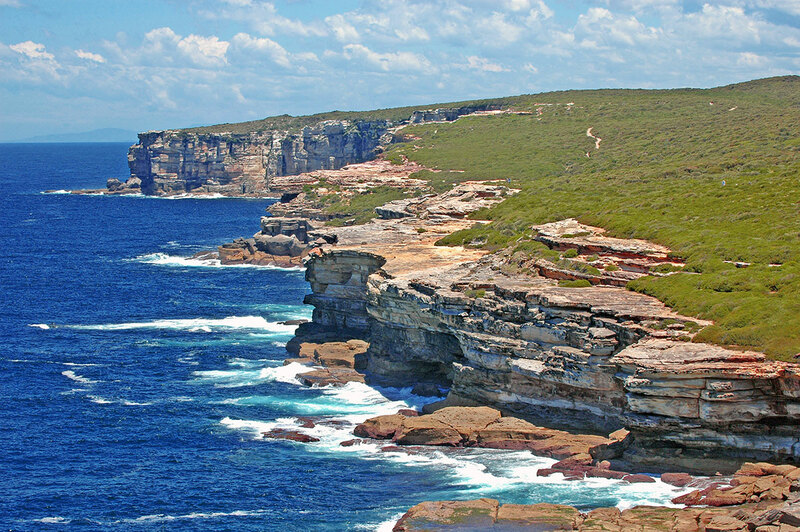 You can witness whales on their north-bound pilgrimage and native wildlife co-existing in untouched bushland.And stand beneath gigantic Sydney red gums and Port Jackson figs or absorb the sheer size of the harbour from a headland lookout. And the park is simply made for fishing, swimming and scuba diving. The park’s coastline is an endless lookout, with amazing vistas supplied by sandstone cliffs and rocky foreshores. It’s little wonder that landscape shutterbugs flock to the park! You can also observe convict-built buildings and military fortifications, Aboriginal sites and rock art, and a heritage lighthouse. Prior to Australia’s British colonisation, the area in vicinity to Sydney Harbour was occupied by the Eora, Guringai and Daruk Aboriginal Nations. 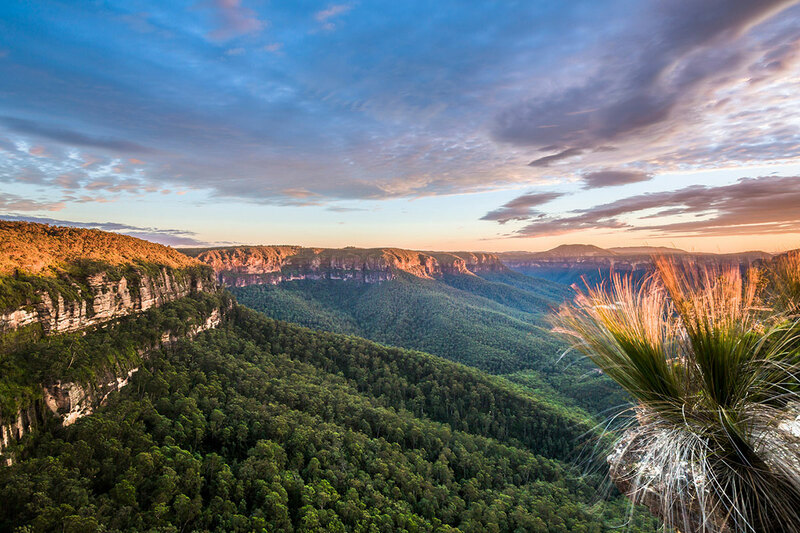 A huge chunk of the Blue Mountains National Park has been incorporated into the the Greater Blue Mountains World Heritage Area. The area, which spans more than 10,000sq km, was added to the list in 2000 because of its unique vegetation. The eucalypts which grow in this area are remarkable because of their resilience throughout the post-Gondwana era and are seen as relics of Australia’s evolutionary past. The area is also home to many rare and threatened species, including 120 plants, 12 mammals and 15 birds. And with soaring peaks, gushing rivers, plummeting gorges and meandering valleys, it’s no wonder the Blue Mountains are a World Heritage-listed wilderness. It’s a scene that’s inspired many – the undulating reddish-brown ochre dirt bordering the deep, brilliant green of the bushy mountains and the dazzling blues of a cloudless sky. Luckily, the national park is split into three areas: Katoomba in the east, Oberon to the west, and Lithgow in the north. The Blue Mountains NP is revered for its magnificent views, iconic rock formations and heritage tracks and lookouts. This pristine wilderness is a famous natural attraction and full of natural wonders. And it’s an adventure tourism hotspot – 4WDing, horse riding, mountain biking, canyoning, caving, abseiling, rock climbing and canoeing. The Blue Mountains NP features more than 140km of trails and walking tracks, and it comprises a rich colonial and Aboriginal past, as part of the traditional country of Aboriginal people including Daruk, Gundungurra, Wiradjuri and Dharwal. 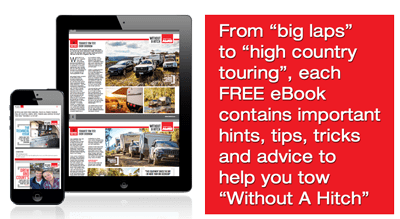 Last, but certainly not least, are the ‘Three Sisters’ – three towering, red, rocky pinnacles balancing on the edge of an escarpment against the clear blue sky – and the Jenolan Caves and its 340-million-year-old limestone cave network. Travel along the Western Motorway (M4) for about 45km, which changes to the Great Western Highway after Nepean River. Continue along the Great Western Highway and look for signs to Blue Mountains National Park. 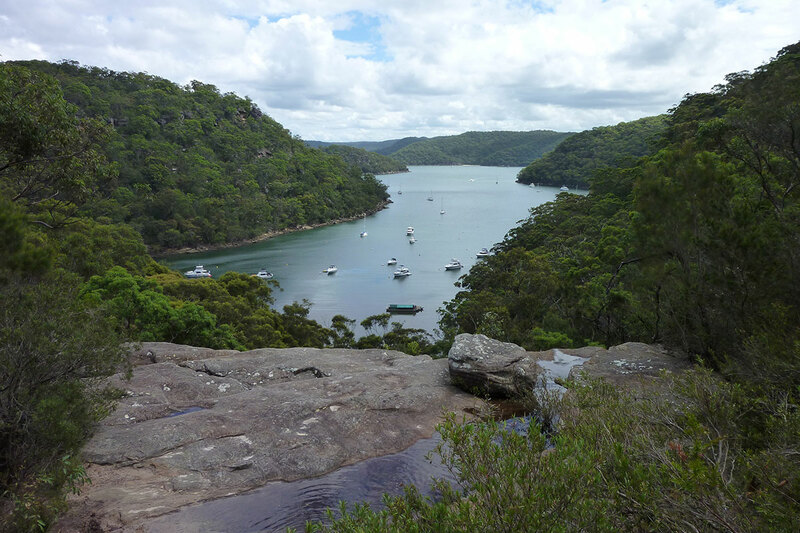 Australia’s second-oldest national park – Ku-ring-gai Chase National Park, in Sydney’s north – is popular for bush walking, camping and kayaking and contains significant indigenous rock art. It comes heaven-sent for the quintessential nature lover, with breathtaking lookouts and Aboriginal sites. And it protects many of northern Sydney’s creeks and coves. A great place for a family picnic is Bobbin Head, and parts of the park are ideal for cycling, fishing and bush-walking. A heritage-listed park, it combines important history with scenic beauty. Winding creeks and stretches of ocean meet rainforest and eucalypts, rocky cliffs and mangroves. You can camp at The Basin or spend your time exploring walking tracks and mountain biking trails. More than 160 bird species have been recorded in the park – from wood ducks, to crimson rosellas, wedge-tailed eagles and pelicans. The Guringai Aboriginal people originally inhabited the area, and the park showcases their rich cultural heritage. More than 350 Aboriginal sites have been recorded in Ku-ring-gai Chase NP. They include rock engravings, burial sites, axe grinding grooves and places that show evidence of Aboriginal occupation. Indeed, the Red Hands Cave walking track will take you through red gums to a cave with ancient ochre hand-prints. Protecting a major part of northern Sydney’s waterways, the park includes much of the Hawkesbury River, Pittwater and Cowan Water, plus numerous creeks and coves. The park runs from St Ives to the shores of the Hawkesbury River at Brooklyn. From Turramurra: Enter the park from Bobbin Head Road, at North Turramurra. This is a good route to Bobbin Head and Appletree Bay. From Terrey Hills or Church Point: Enter the park from McCarrs Creek Road. This leads to to Liberator General San Martin Drive, where you’ll find the picnic areas and facilities of Illawong Bay and Akuna Bay. It also gives access to West Head Road, West Head and The Basin. From pristine rainforest walks to gorgeous waterfalls and stunning lookouts, that’s the enchanting haven known as Budderoo National Park. You can lose yourself in the lush beauty of its rainforest while taking to its elevated walkways and paved tracks. A highlight is driving up to the plateau above the nurtured and conserved Minnamurra Rainforest to witness jaw-dropping views from Jamberoo lookout. Riding the 24km Budderoo Track by mountain bike is also popular, and spectacular in late winter and spring when the wildflowers bloom. For something more leisurely, walk to Minnamurra Falls, an amazing double-tiered waterfall, or Carrington Falls, with its fabulous 50m drop. You’re almost guaranteed to see wildlife in the park, particularly if you visit Minnamurra Rainforest Centre. Look for bowerbirds and king parrots, and visit between June and August for the spectacular image of a male lyrebird displaying his tail. 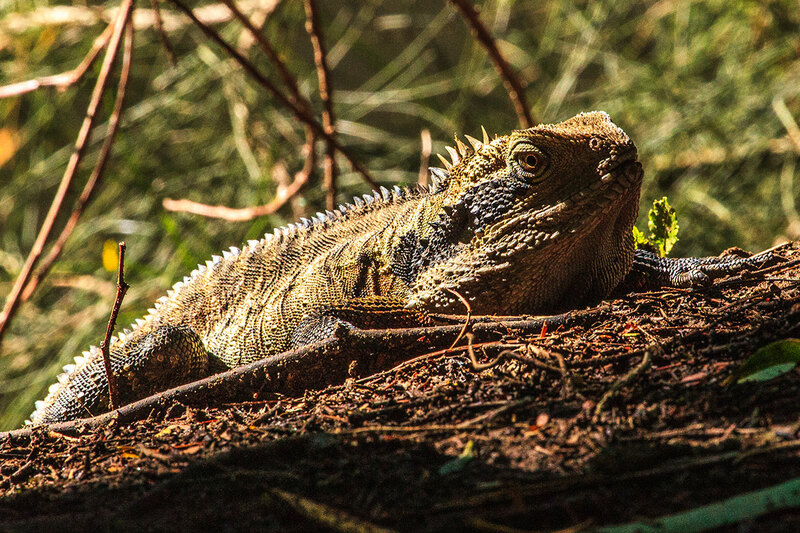 You’ve a good chance of spotting a swamp wallaby at dawn or dusk, and keep an eye out for an eastern water dragon or perhaps even a diamond python soaking up the sunshine. Visit between April and August and you may be treated to the spectacular sight of a male lyrebird displaying for a female during the breeding season. Head downstream from the Minnamurra Rainforest to see the 1853 Kelly’s Cottage and its camellia tree, believed to be one of the southern hemisphere’s oldest. During the summer months, the canopy of the rainforest acts as a natural sunscreen, filtering out approximately 75 per cent of direct sunlight. 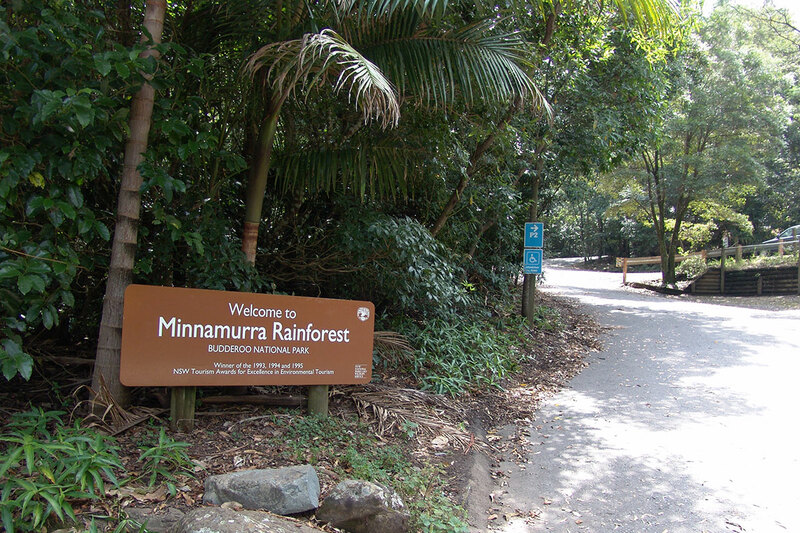 The main visitor areas of Budderoo National Park are Minnamurra Rainforest Centre near Jamberoo and Carrington Falls near Robertson. Both are accessed via Jamberoo Mountain Road.